Commonly called flower or hover flies, the family Syrphidae (Insecta: Diptera) is a large family with ca. 6,200 described species world-wide. Adult flies are conspicuous flower visitors, where they feed on both pollen and nectar. This behavior has generated a large amount of interest in the family as pollinators. ON the other hand, syrphid larvae display an astonishing array of natural histories, including terrestrial and aquatic predators, inquilines in ant, wasp and bumblebee nests, saprophages, mycophages, root borers, stem miners, leaf miners, and wood borers in decaying logs. The family is currently divided in four subfamilies, i.e. Syrphinae, Pipizinae, Microdontinae, and Eristalinae. Microdontines are suggested to be the sister group of all the other subfamilies, and syrphines and pipizines are resolved as sister groups in all recent studies. However, eristalines are always recovered as paraphyletic, with many tribes within resolved as distinct phylogenetic lineages. 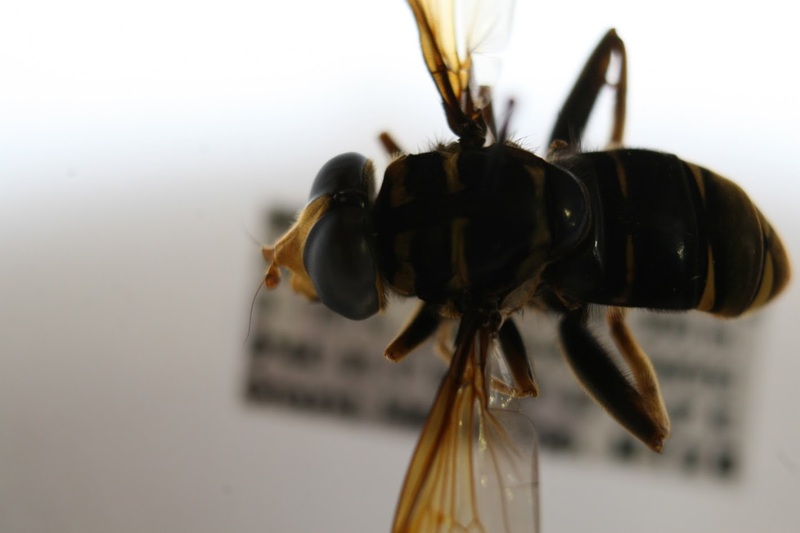 Syrphidae is one of the target groups of the Indobiosys Project. There is no species list of flower flies for Indonesia, neither an identification key for many of the groups present in the archipelago. But a good approximation of the Indonesian fauna can be extracted from the Diptera catalogs published in 1975 and 1989 (Knutson et al., 1975; Thompson and Vockeroth, 1989). Although outdated, these works record 150 species for Java; and we expect circa 230 species for this island. Based on our observations in the field during the second trip of the Indobiosys Project, we have collected circa 60 species in the Halimun-Salak National Park, and this number will grow as soon as we study the material collected in the traps and previous field work. Knutson LV, Thompson FC, Vockeroth JR. 1975. Family Syrphidae. In: Delfinado MD, Hardy DE, editors. A catalog of the Diptera of the Oriental Region, Volume II, Suborder Brachycera through Division Aschiza, Suborder Cyclorrhapha. Honolulu: The University Press of Hawaii; p. 306–373. Thompson FC, Vockeroth JR. 1989. Family Syrphidae. In: Evenhuis NL, editor. Catalog of the Diptera of the Australasian and Oceanian Regions. Hawaii: Bishop Museum Special Publication 86; p. 437–458.